TCS share buyback: Did Chandrasekaran act in the interest of Tata Sons, or TCS? The swiftness with which the board of Tata Consultancy Services (TCS) took up the share buyback proposal (within weeks of Cognizant announcing a buyback under duress) and approved it in the very first board meeting attended by N Chandrasekaran as Chairman-designate of TCS and Tata Sons begs a fundamental question: Was Chandra acting in the interest of TCS or its parent Tata Sons, where his own future now lies? By all accounts, it's the latter. He was wearing two hats that day: CEO, MD and chairman-designate of TCS as well as Chairman-designate of Tata Sons. He bowed to Tata Sons. Remember, if Tata Sons and promoter group companies participate wholeheartedly (which it is most likely to) in the share buyback offer of TCS, as its 73.31 per cent shareholder they are the biggest beneficiaries of the proposal. The promoter group will get Rs 11,730 crore of the nearly Rs 16,000 crore TCS will shell out of its reserves during the share buyback programme. With its 73.26 per cent equity holding, just Tata Sons will be richer by Rs 11,722 crore. That's obvious, right? But the timing is not! Though the Feb 20 TCS board meeting was presided over by Ishaat Hussain, the company informed the stock exchanges that its shareholder Tata Sons was nominating N Chandrasekaran as the new chairman with effect from the next day, February 21, the day he also took charge as chairman of Tata Sons. Rajesh Gopinathan his successor at TCS also took charge as CEO and MD on February 21. The question is whether the new CEO and managing director Gopinathan would have still favoured the same share buyback, if he was in charge the previous day. Remember, in its responses to National Company Law Tribunal, Tata Trusts and Tata Sons have consistently maintained that former chairman Cyrus Mistry's alleged profligacy and deteriorating performance of group companies had substantially impacted the finances of Tata Sons whose income is essentially brand royalty and the dividend it receives from various group companies every fiscal in proportion to its shareholding in those companies. In its filings with the Registrar of Companies in October, 2016, Tata Sons (standalone) reported a 39 pc drop in revenue to Rs 8,104 crore and a very significant 67 pc drop in profit to Rs 3,013, as of March 31, 2016. The group has maintained that its holding company and Tata Trusts had a lot less at their disposal under Mistry's tenure than before. 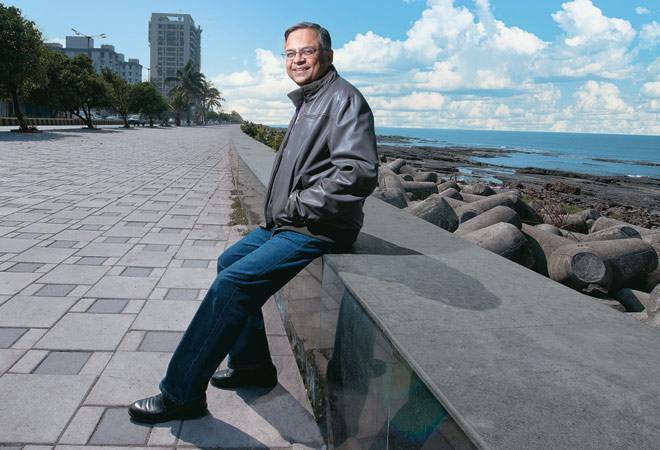 How will Tata Sons deploy the cash? Will it be used only for the group's CSR activities? Will be it used to bolster the group's equity stakes in various group companies? Will it go towards settling the long-pending dispute with DoCoMo? Or, will it go into reviving Corus? In giving back Rs 11,722 crore over and above the nearly Rs 8000 crore it pays annually as dividend, not only has TCS more than made up for the shortfall caused by fall in income and profits but Chandra has given himself more financial leeway at Tata Sons, where he took charge as chairman on February 21, 2017. Analysts say what would be watched is how this new cash will be deployed by Tata Sons. Will it be used only for the group's CSR activities? Will be it used to bolster the group's equity stakes in various group companies. Will it go towards settling the long-pending dispute with DoCoMo? Or, will it go into reviving Corus? How Tata Sons acts on this cash will be the biggest cue for the stock markets regarding Chandra's future plans.